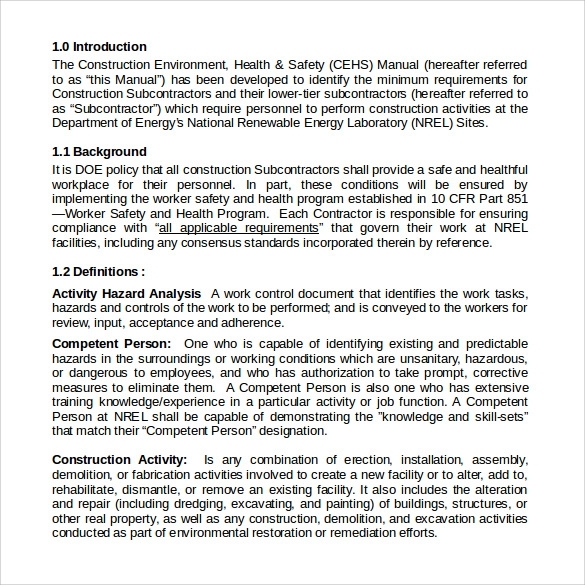 A safety manual ensures that all the persons working in an organization are protected. They save time, costs and even life. Safety precautions if implemented correctly can bring more business too. The Safety Manual Templates should follow some basic list. The list should cover general health and safety policies, hazard assessment controls, safe job procedures, safe work practices, company rules, preventive equipment, maintenance, communications, training and the like. 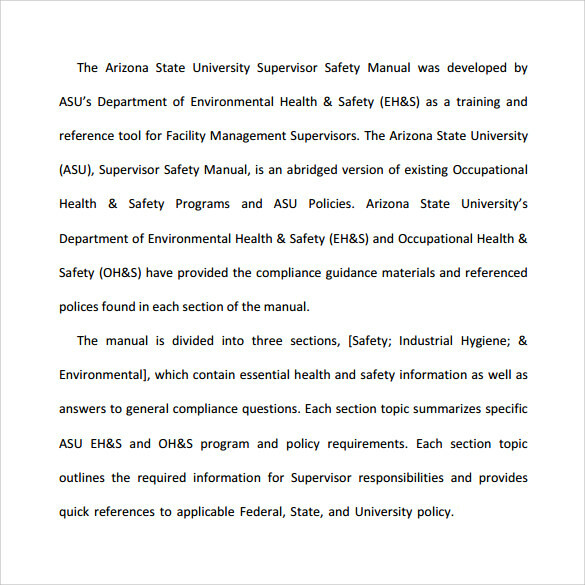 Other points to be included in the safety manual include – substance abuse prevention, claim management, environmental policies, and back injury prevention. It is not sufficient to have a safety manual, it is even more necessary to form a committee and monitor the safety procedures followed in all areas of operations in the organization. This template is designed for safety of people who are employed in an organization. It includes all kinds of safety measures for the employees, with specific responsibilities for the managers and employees, hazard management information, control measures and lot more. Download this template right away, customize it and get benefits. 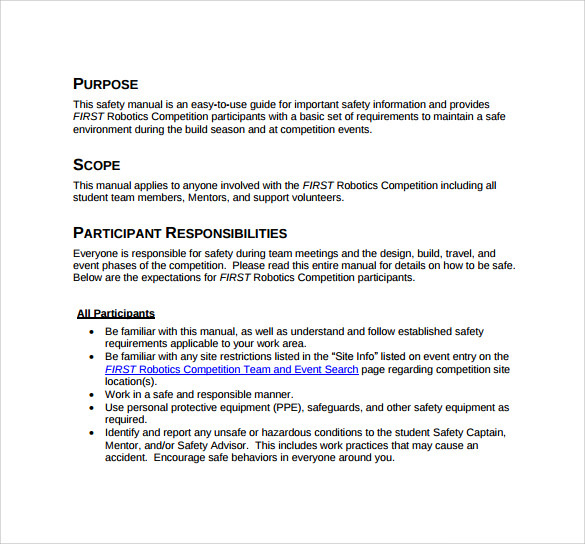 Here is a very good safety manual template made for the safety of those people participating in FIRST Robotics competition. It lists the basic responsibilities to be undertaken by participants and the hosts, personal protective equipments required other safety equipments, general safety requirements, chemical safety, at the event safety, etc. 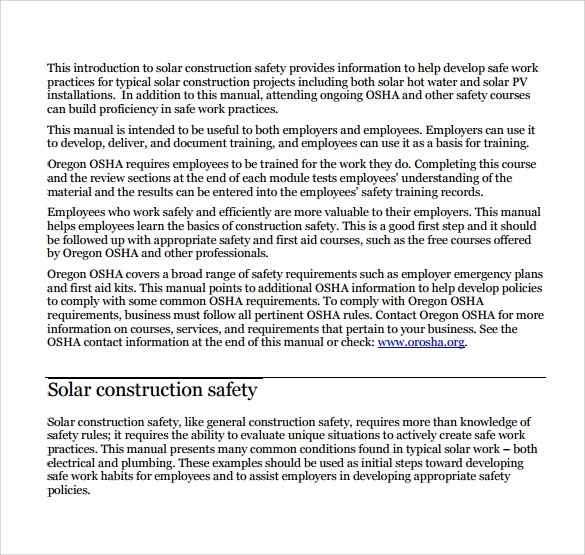 This safety manual template has been planned and designed especially for employees of the Department of Transportation and Works. It outlines the health and safety policies, company rules and guidelines and all other related information that will help you maintain personal safety at your workplace. Download this template right now! 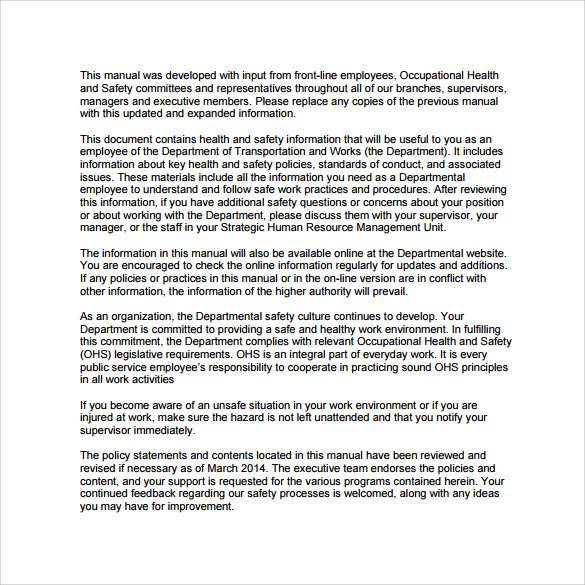 Get this safety manual template if you are the owner of an organization and need to keep a safety manual for your employees. It gives the basic details of occupational health and safety program, preventive procedures, hazard prevention and management, etc. It is a very good employee safety manual template. 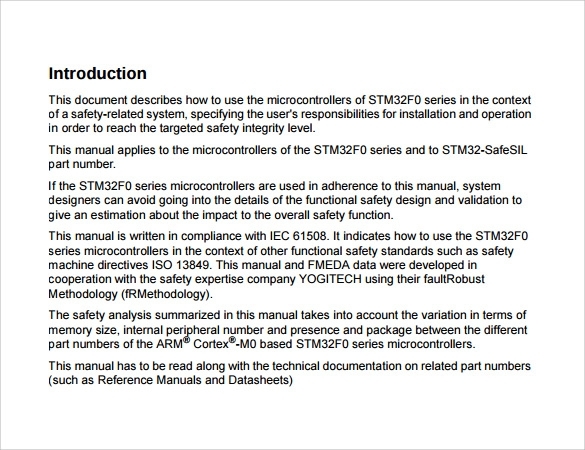 Why do you need Safety Manual Templates? Every company should have employee safety manual to take responsibility of every employee who works for it. Workplace safety is always the firm’s responsibility. There should be a committee that manages all the safety policies and works against abuse, workplace injuries, prevent bad incidents, etc. You may like Instruction Manual Templates. 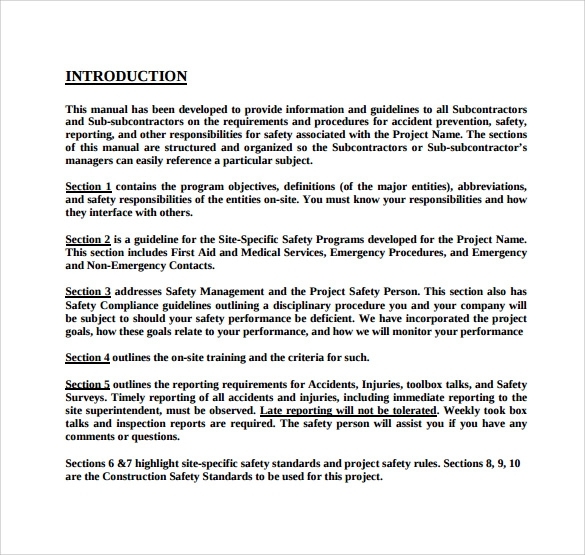 The Safety Manual Templates help you design a customized safety manual for your firm, with all the policies, preventive measures, hazard control equipments, safe procedures, work practices to be followed, communication rules, training, etc. It shows how much the organization cares for its employees. All these help in maintaining a safe and happy work environment. 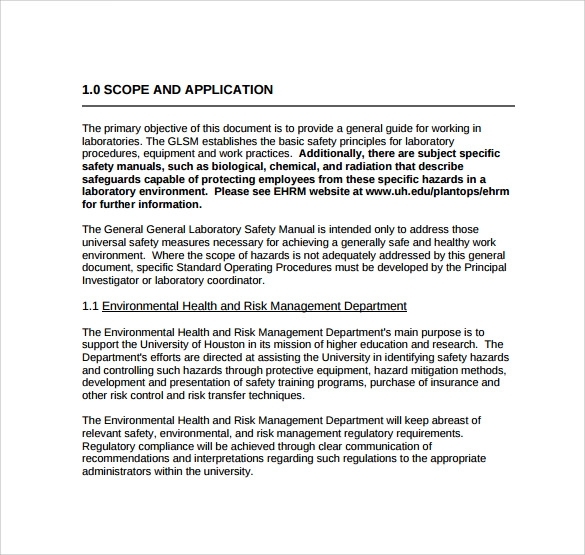 When do you need Safety Manual Templates? 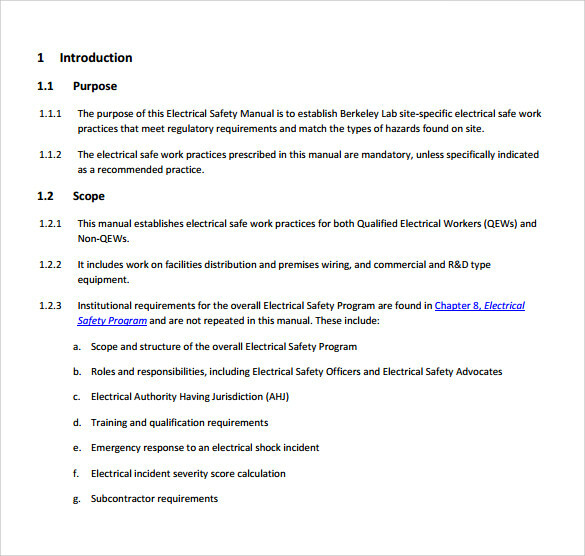 You will need these Safety Manual Templates if you are an organization with a good number of working employees. It is important even for those who are organizing events, seminars, corporate meetings, etc. Safety manual is highly necessary in order to give assurance to your employees regarding their safety at the workplace or public events. 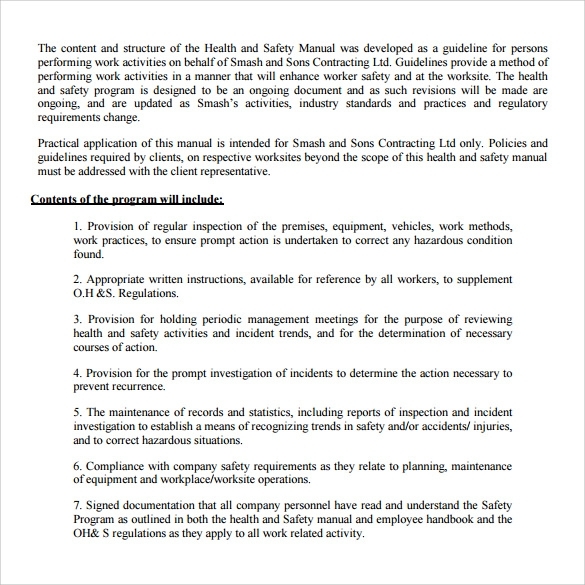 You must take complete responsibility of your employees’ health and safety, which is why you need these Safety Manual Templates to outline the necessary safety measures and guidelines. You can use these templates to create your own company safety manual and improve company-employee relationship. You can also see Operation Manuals. 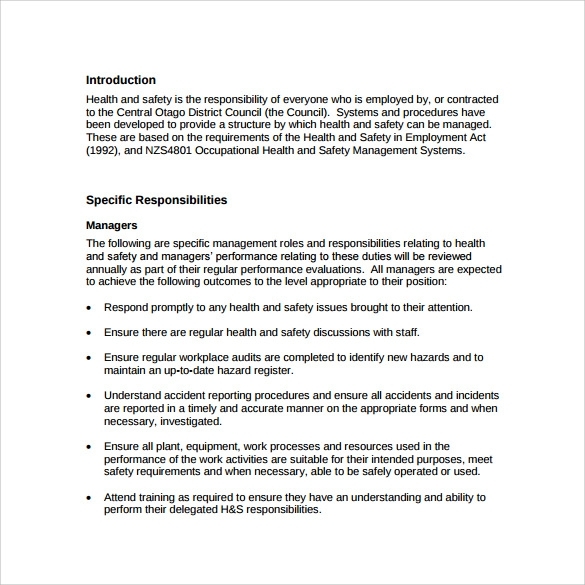 Safety Manual Templates are a great advantage to organizations, corporate companies, event management firms, etc that must take care of their employees and customers. When employees are happy and safe at their workplace, it is a huge benefit for the company. Happy employees, continued company success and positive reviews then help in enhancing the company’s business. More people will be willing to work with such organizations that take complete care of employee safety. 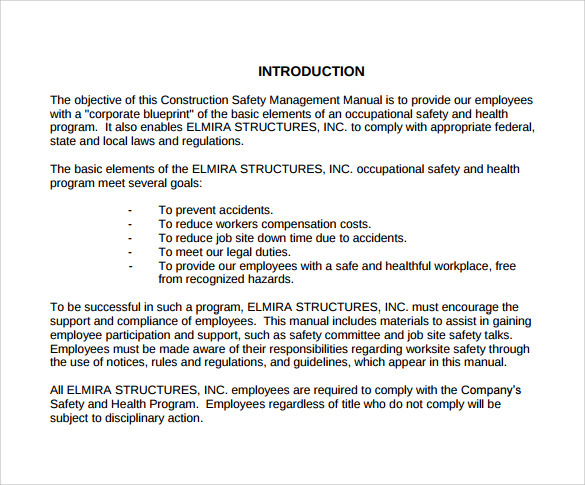 With the help of these templates, you can create excellent employee safety manual for your company. It will help save lot of time, energy and employee lives.